Written by co-creators Robert Lopez (co-composer for Disney's "Frozen") and Jeff Marx, the play can be described as a Sesame Street*-meets-South Park experience. The neighbors are nice on Avenue Q, the only address you can afford when you're fresh out of college, out of a job, or just trying to find your way in life. Princeton, Gary Coleman (yes, that one! ), Christmas Eve and their new-found friends (played by talented actors and puppets), valiantly seek jobs, dates, and their ever-elusive purpose in life. 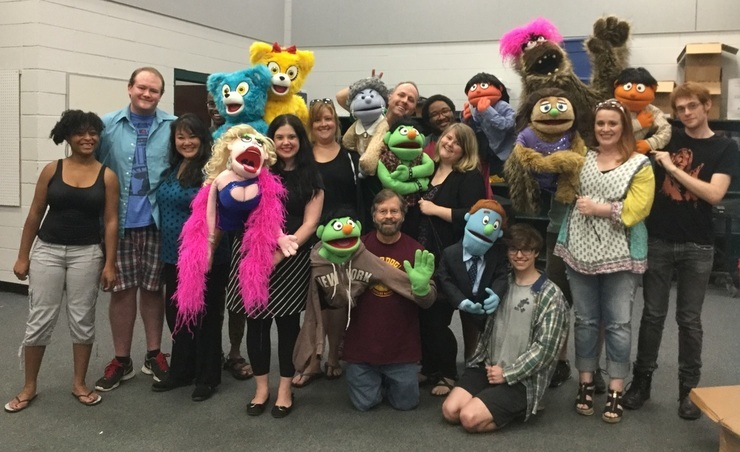 This upbeat musical is definitely for grown-ups, and tackles tough subjects like racism, unemployment, homosexuality, homelessness, love and lust with puppets, monsters, video, and catchy tunes. FTW is pleased to be in residence again at Actor's Playhouse, where they previously co-produced Cabaret and Stephen Sondheim's Company. The show will be directed by Josh Harris, with music direction by Tommy Pittman. Seating will be strictly limited, so pre-purchasing via brownpapertickets.com is STRONGLY encouraged (Visa/MC required). Please call FTW at 601-301-2281 for more information. (Please do NOT call Actor's Playhouse for tickets/info as this is strictly an FTW production.) You can find us on Facebook under Non-Profit Organizations. Advisory: this play contains mature language and subject matter, and is not suitable for children. FOR MORE INFORMATION, CALL 601-301-2281. Please DO NOT call Actors Playhouse. *AVENUE Q has not been authorized or approved by the Jim Henson Company or Sesame Workshop, which have no responsibility for its content.